Coils are a vital instrument in the proper operation of air conditioning equipment. Dirty or damaged coils can decrease the efficiency of the system resulting in improper cooling as well as higher utility bills. The air conditioner's evaporator coil and condenser coil collect dirt over their months and years of service. A clean filter prevents the evaporator coil from soiling quickly. In time, however, the evaporator coil will still collect dirt. This dirt reduces airflow and insulates the coil, which reduces its ability to absorb heat. Therefore, your evaporator coil should be checked every year and cleaned as necessary. You can reduce your utility costs by up to 30% by having your coils cleaned yearly. 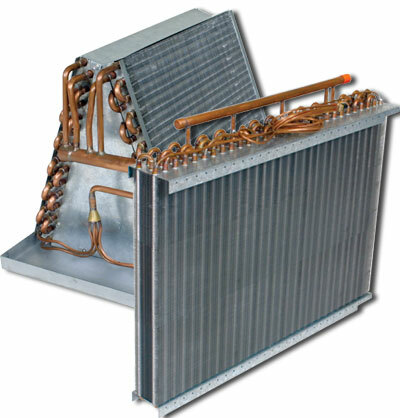 Coil Fins The aluminum fins on evaporator and condenser coils are easily bent and can block airflow through the coil. All Climate Mechanical has a tool called a "fin comb" that will comb these fins back into nearly original condition. An air conditioners filters, coils, and fins require regular maintenance for the unit to function effectively and efficiently throughout its years of service. Neglecting necessary maintenance ensures a steady decline in air conditioning performance and reduces the life of the unit, while energy use steadily increases. Coils are a vital instrument in the proper operation of air conditioning equipment. Dirty or damaged coils can decrease the efficiency of the system resulting in improper cooling as well as higher utility bills. The air conditioner’s evaporator coil and condenser coil collect dirt over their months and years of service. A clean filter prevents the evaporator coil from soiling quickly. In time, however, the evaporator coil will still collect dirt. This dirt reduces airflow and insulates the coil, which reduces its ability to absorb heat. Therefore, your evaporator coil should be checked every year and cleaned as necessary. You can reduce your utility costs by up to 30% by having your coils cleaned yearly. 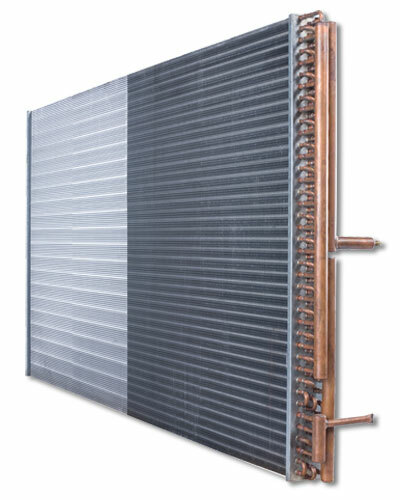 The aluminum fins on evaporator and condenser coils are easily bent and can block airflow through the coil. All Climate Mechanical has a tool called a “fin comb” that will comb these fins back into nearly original condition. An air conditioners filters, coils, and fins require regular maintenance for the unit to function effectively and efficiently throughout its years of service. Neglecting necessary maintenance ensures a steady decline in air conditioning performance and reduces the life of the unit, while energy use steadily increases.